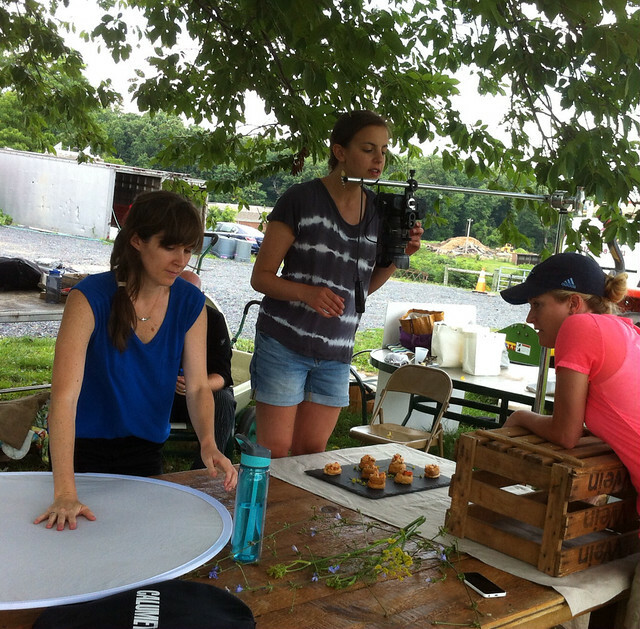 Kira Luxon assists Courtney Apple on a photo shoot under the eye of Laura Shoup at the Henry Got Crops Farm in Roxborough for Jeffrey Miller Catering which does many farm to table events. Watch video here. Renee Polsky of the Friends of the Chestnut Hill Library shows off the "little free library, " a dollhouse-like wooden structure mounted on a post next to the book return bin outside the Chestnut Hill Library. The public is welcome to take one book at a time and donate a booking return. The miniature honor system lending library holds about 20 books. In the three weeks since it was installed many of the books supplied by the Friends haven been taken, Polsky says, but the books donated by borrowers haven't been as good quality. The Friends purchased the pricey house from a catalog and Polsky says these little libraries are springing up in small towns around he country. She is hoping to check out similar ones that she has heard have popped up at private residences elsewhere in Chestnut Hill. Watch video here. In the accompanying video, Andrew Heller, Gaal’s work partner at the Hiway, appears in a non-singing role.